This website is all about Pennsylvania wrestling! Our main coverage is on high school wrestling but we also have info on junior high, college, and clubs. Click the links above for information on all twelve PIAA high school districts as well as every league and just about every team in the state. Get all the latest results and stats on your favorite teams and wrestlers as well. You can also visit our forums to catch up with other fans from around the state. During the season, check out our live tournament coverage of post-season tournaments. You won't find better real-time updates anywhere! Help contribute to the site! We have lots of information for Districts 1, 2, 5, 6, and 12 but we are constantly trying to add more. We are always looking for volunteers to help with the other districts. If you don't see information on this site about your team, league, or district ... you can sign up for FREE to keep your section updated with all the latest news, results, stats, etc. Simply click the "Sign Up" link above to get started. It's quick and simple to sign up and you don't need any programming skills to keep your section updated. On Friday, April 5th to Sunday, April 7th Indiana University of PA will be hosting the 2019 Keystone Folkstyle Nationals at the Kovalchick Convention and Athletic Complex. There are divisions for all levels from youth to high schools for both boys and girls. Cost to enter is just $45 and the tournaments will be run as double elimination with modified PIAA rules. All wrestlers and coaches must hold current AAU membership cards. Membership cards must be purchased online at www.aausports.org. Memberships WILL NOT be sold onsite. Individual athlete cards are $14.00 each and non-athletes (coaches) are $16.00 each. 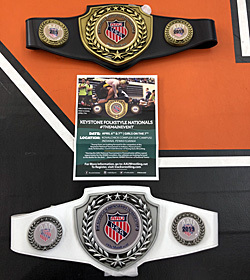 Medals will be awarded to the top 4 places in each bracket with champions in HS divisions receiving championship leather belts. It's never too early to start looking towards next season! We’ve compiled the list of all returning wrestlers who participated in the 2018-19 post-season. You can view the list (including post-season tournament placing and season record) by clicking the link below. A printable version is available too via a PDF. The four week post-season grind cumulating with the PIAA Championships at the Giant Center in Hershey didn't disappoint in being another awesome display of PA wrestling! Between AA and AAA, 28 gold medals were earned by the best the state has to offer. We have all the brackets for all the tournaments leading up to and including the PIAA Championships. Check the links below. 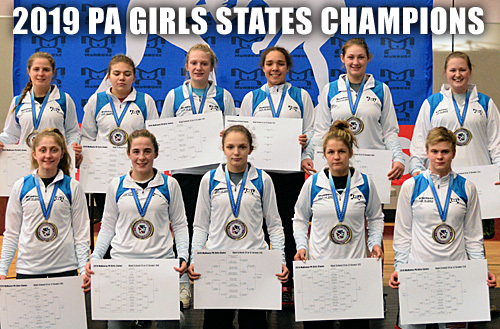 On Sunday, March 10th, Gettysburg HS hosted the 2019 MyHouse PA Girls States wrestling tournament. The tournament was open to any girl at a public or private high school in the state of PA in grades 9 through 12 for the 2018-19 scholastic year. Check out the link below for all the results. 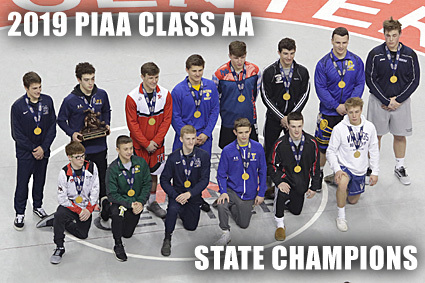 On Saturday, February 9th, the PIAA crowned their newest PIAA State Wrestling Duals Championships teams at the Giant Center in Hershey. The end results were a lot like the previous season too. In AA, Reynold won their third straight duals title with an exciting 31-23 victory over Southern Columbia in the finals, in a match that came down to the final bout. The title gives the Raiders six state duals championships in their program's history (the most in AA). In AAA, Bethlehem Catholic repeated as champs in an all-D11 final with Northampton. The Golden Hawks won the final 31-19 to claim their third title in four years, and their seventh state duals title overall. Ever want to look over old PIAA Wrestling Championship brackets and results...but can't find them online? Well look no further as we have ALL of them on our site! That is EVERY state championship bracket and result going back to 1938. Along with all the results and the rest of the statistics for each tournament you've come to expect from our online brackets, we also have some statistical reports and breakdowns that combine AA and AAA results. Want a quick list of all the 2, 3, or 4 time state champs? We got it! How about which schools have the most 3 or 4 time medal winners? We got that too! Just click the link below for all the results and reports. This will be an ongoing project for quite some time and it involves thousands of names and details. 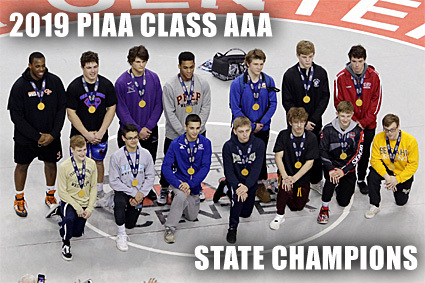 If you see anything incorrectly listed (name spelled wrong, record or results incorrectly posted, or something else), please let us know by emailing us at email@pa-wrestling.com and we'll get it fixed ASAP. Thanks!